Created in 2012, the MitoCross LabEx consortium is presently composed of seven laboratories based in Strasbourg and working on various aspects of mitochondrial research, encompassing different models (yeast, plants, human) and different approaches (structural, biophysical, biochemical, functional and biomedical) and the associate partner, PolyPlus Transfection. Mitochondria are essential intracellular organelles of eukaryotic cells responsible for a large number of processes: respiration, ATP-generation, synthesis of some amino acids, oxidation of fatty acids, regulation of reactive oxygen species, apoptosis, etc. Mitochondria are implicated in the aging process, in many severe and mostly incurable neuromuscular and neurodegenerative syndromes, as well as in diseases such as Alzheimer's disease or some cases of cancer and diabetes. The peculiarity of these organelles protected by a double membrane is the presence of their own mitochondrial genome in their inner compartment, mtDNA. mtDNA differs in organization and size among species and codes for only few organellar macromolecules. 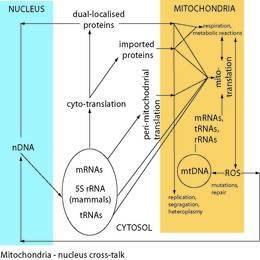 Since most of the macromolecules are nuclear-encoded, mitochondrial biogenesis and activities, in health as well as in disease depend on a continuous cross-talk with the nucleo-cytosolic compartment of the cell. 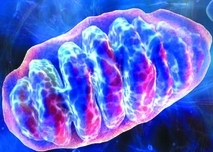 In depth understanding of these interaction and coordination mechanisms and characterization of the involved mitochondrial molecular machines are therefore of primary importance from both fundamental and medico-social points of view. The overall objective of the MitoCross network is to deepen the knowledge of the fine molecular mechanisms governing mitochondrial biogenesis, genetics and cross-talk with the nucleus, to characterize as many actors as possible in different organisms and to subsequently exploit this knowledge to understand the biochemical mechanisms underlying mitochondrial diseases, to envision agronomic applications and model innovative therapy approaches.